A Federal High Court, Lagos, yesterday convicted former Managing Director of the defunct Integrated Microfinance Bank Limited, Mr. Simon Ademola Akinteye over $166.9 million fraud. 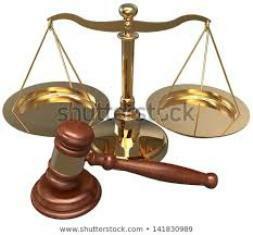 The court presided over by Justice Cecilia Mojisola Olatoregun, convicted the former bank’s boss after finding him guilty of all the nine counts charge bordering on reckless granting of loans without collateral, leveled against him by the Department of Public Prosecution (DPP), Federal Ministry of Justice. Justice Olatoregun has adjourned the matter till February 21, for the sentencing of the former bank’s boss. The DPP in a charged marked FHC/L/234c/16, alleged that the two Bank Chiefs recklessly, without collateral approved credit facilities running into $166 million USD, and N33.250 million to themselves and one Mrs. Temitope Muhammed Imam. In the charge, the convict, Akinteye, who was said to have at different time withdrew from the bank’s account the total sum of N11 million and diverted it into his personal company account named ‘Deblad Nigeria Limited’. He was also said to have unlawfully withdrew total sum of $166 million USD, and paid same into the said the account of Temitope Muhammed Imam, domiciled with Citi Bank N. A. of Utica/Clarkson, 702, Utica Avenue, Brooklyn New York, United State of America; and another account domiciled with Washington Mutual, 391, Eastern Parkway, Belford Avenue, New York, USA. While the second defendant, Adepoju, was alleged to have withdraw total sum of N22.250 million, and diverted same to a limited liability company, Gad Press Limited. The offences according to the prosecutor, Ndidi Glady Ezinwa-Ukuba (Mrs.), are contrary to under sections 18 (1)(a) and 18(3) and 15(1)(a)(I) Banks and other financial Institution Act Laws of the Federation of Nigeria, 2004, and punishable under Section 18(2) and 16(1)(a) of the same Act. Prior to the arraignment of the defendants on May 18, 2016, their lawyer, A. O. Sheriff, through a notice of Preliminary Objection, urged court to dismiss the charge on the ground that the defendants had earlier been acquitted and discharged by Justice Okon Abang of the same court, when they were formerly arraigned. But the presiding judge, Justice Olatoregun, had dismissed the defendants’ lawyers application on the ground that the facts of the charge are not the same. Be the first to comment on "Court Convicts Integrated Microfinance Bank MD, Akinteye Of $166M Fraud"